Nice find and well done to whoever got this historical item. ^^^ and the money sent to eggboy? Oh Wow!!! That's Gold!!!!! I agree with Mark. Plus 1 for what Mark said. How about sending the proceeds to Neil in WA after his horror accident?? Very shocked to here about another accident on the river. Best wishes to Neil and Pete for there recoveries. 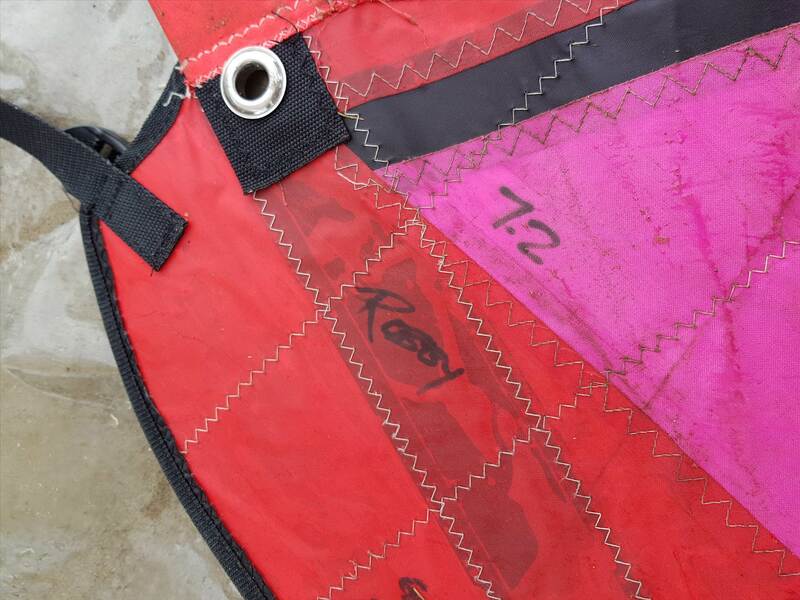 So we have found out how the sail came to be in amongst all the old donated gear at RQ that was getting cleaned out. It belongs to one of the members wives and is going back to its rightful owner. Chris is that the Pan Am proto or the Equipe proto? 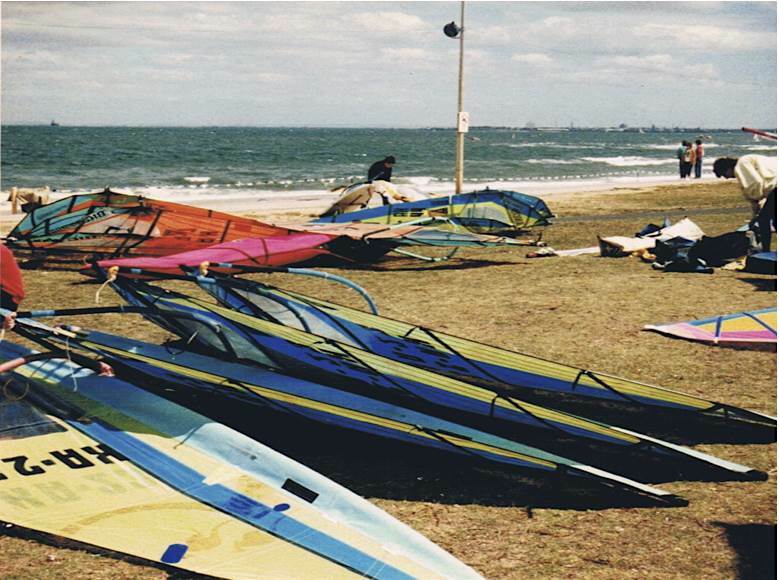 Heres a pic of mine, Bruce Wylie and Phil McGain's sails approx 1984. Same year as Robby's. 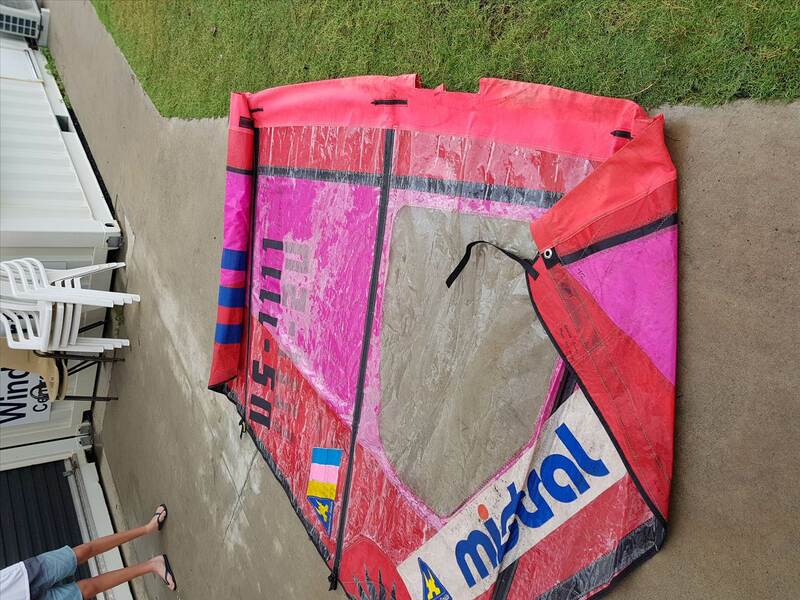 Our sails came out of the Gaastra Custom Loft. We had our own custom colours back then. Hmmm. Looks like Point Ormond. Am I right? That looks like Ronny Reagan Ricardo?? I remember Bruces sails were green & blue. Great pics. Yes, Chris Lawrence, Bruce and Ronald. Phil Orange and Green BIC/Gaastra. Bruce Blue and Green Mistral/Gaastra. Rick Yellow, Blue and Pink Mistral/Gaastra. I think it looks more like 1986 or 87 than 84. 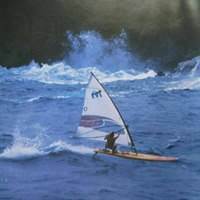 I say that because of the presence of the Mistral Equipe in the photos and the Bic Gaastra sponsorship for Phil McGain. Is that correct ? Aluminium masts for race sails - wow! That's something you can't buy since late 80's. 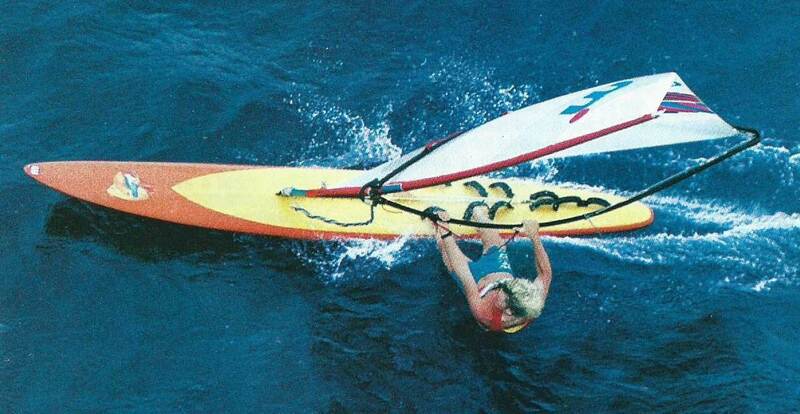 Then carbon race masts were fragile - don't drop them and watch the shore break. Cool who has the Bombora flag today ? 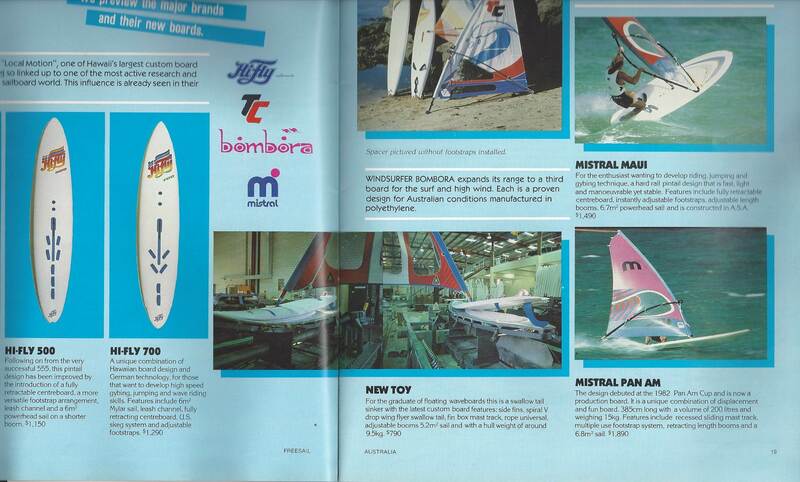 Interesting that Bruce Wylie was sponsored by all of what appears to be Mistral, Gaastra and Bombora. 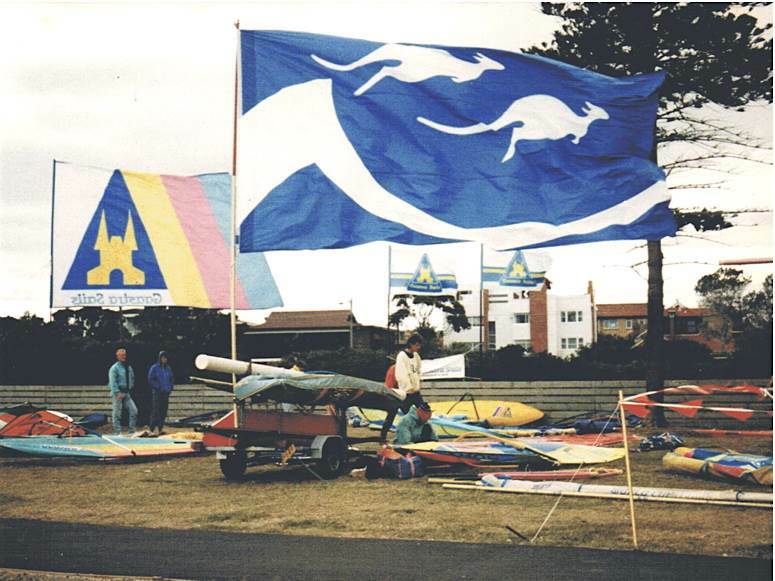 I have the Gaastra Flag and I think Greg Butchart has the Bombora flag. 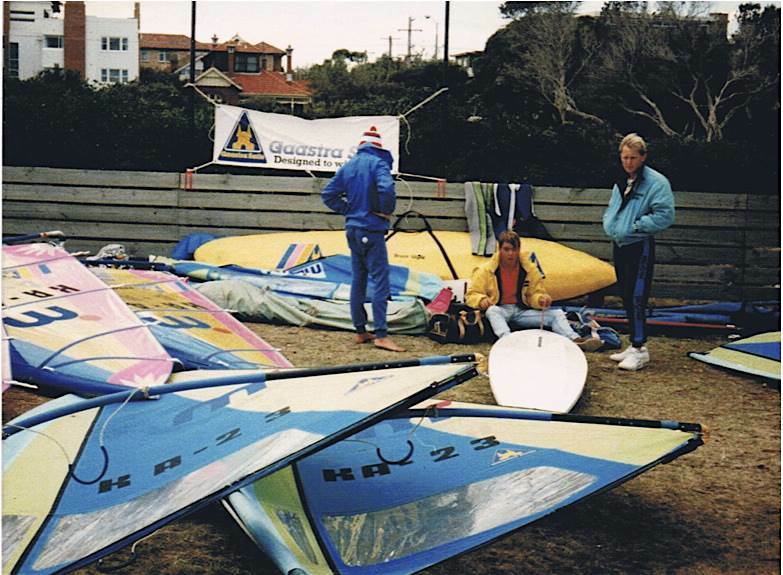 Bruce was sponsored by Mistral/Gaastra overseas and Bombora/Gaastra when in Australia for a while, then just Mistral/Gaastra. The original pre-concave Pan Am protos. I'm still not quite sure whether it was the one he used in the Pan Am and World Cup or one of the others that Rick Naish shaped with Harold, and Robby raced. I'm going to send some pics through one day and see if I can track it down. 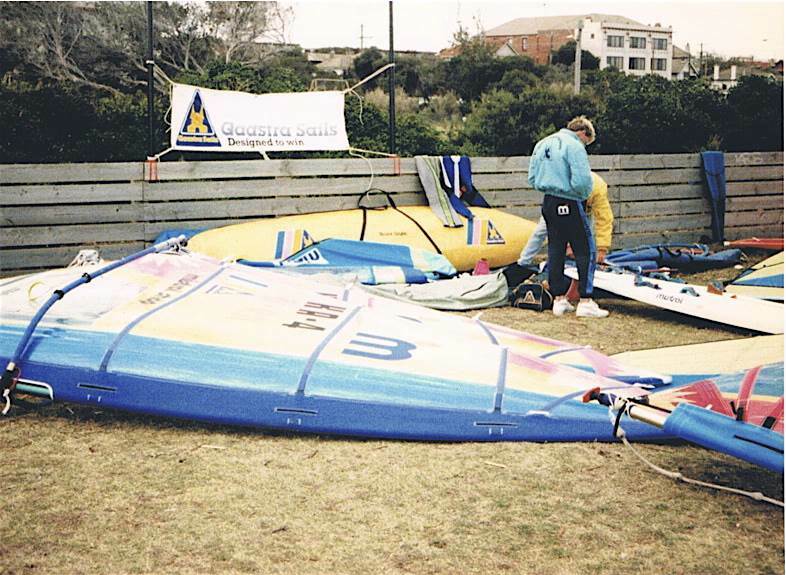 Oddly enough, in our little inland sailing club near Armidale we have two Naish/Mistral customs (the Pan Am and a slightly earlier squaretail I have), one of Lars' Lechners (although I'm not sure if it was the one he won bronze on), a silver medal winning IMCO, and a silver medallist sailor. Oh, and the current world A Class C foiler champ and an America's Cup team full foiling A Class cat. It's weird when you get in from training and see cows have got into the boat park and are about to walk over a carbon foiling catamaran! 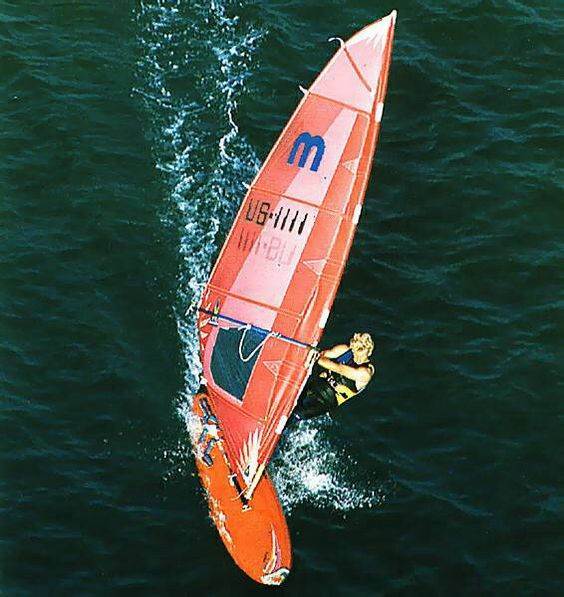 Not this one below- from 1984-5 which is the first Harold Iggy/ Rick Naish Mistral Equipe LCS/XR proto later sold by Mistral in 1986-1988 ? Equipe after 88 was then replaced by the Harold Iggy/ Nevin Sayre designed, Mistral Equipe 1989 which became the Mistral One Design. The reference to Rick Naish below is incorrect. 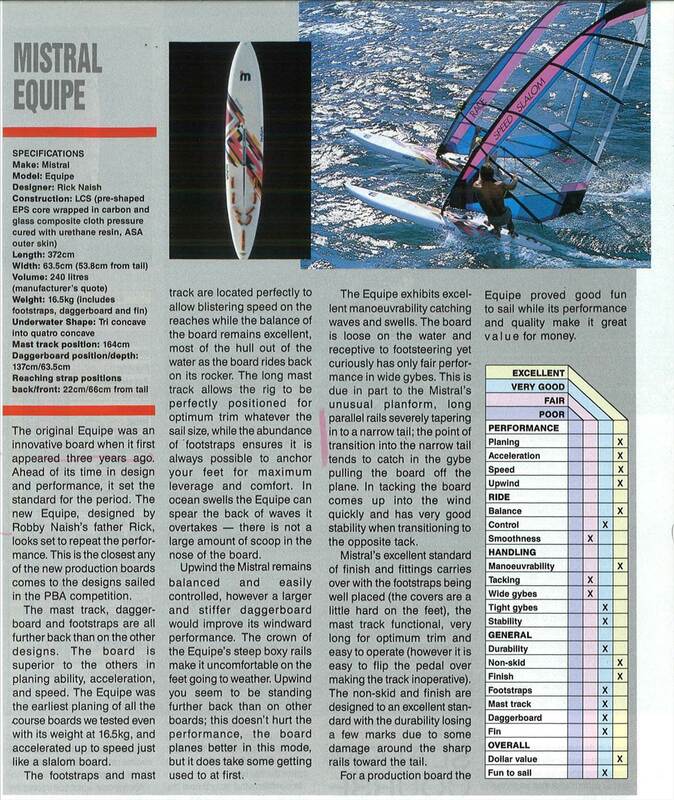 Article board test, Freesail 1989. 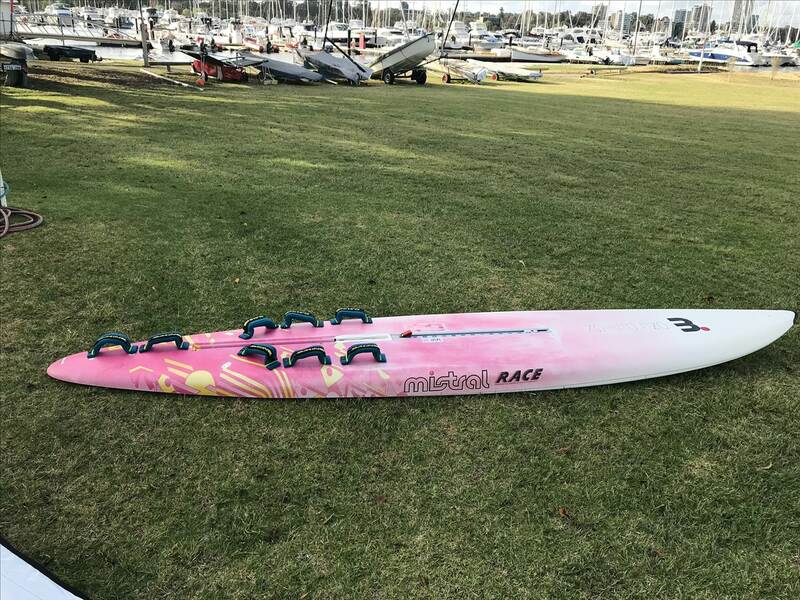 My Mistral One Design 1993 model pictured in 2018 at MBSC, WA. Mistral should release a new Mistral Equipe IV LT.
Mistral should release a new Mistral Equipe IV LT.